Many years ago I was a bridesmaid for Rebecca, someone I often think I share a (slightly odd) brain with. She had told me about the MC for the wedding and his writing aspirations. So I’m talking to MC Michael, and he’s telling me about how he’s really hoping to write children’s books. 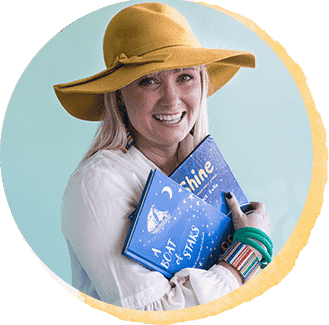 I plastered on my best ‘Children’s Book Council – Supporter of Writers’ smile, but inwardly I may have been thiking ‘yep everyone thinks they have a children’s book in them’. EPIC FAIL on my part: never under estimate someone’s writing ability. 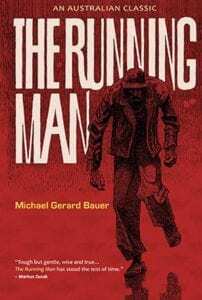 The following year Michael Gerard Bauer’s first novel, ‘The Running Man’ won the Children’s Book Council Book of the Year Award, and a swag of other awards, virtually unheard of for a first novel. I’d like to publically apologise to MGB for dismissing him all those years ago. In fact I wish I could go back to that wedding and say ‘I’d just LOVE to read your manuscript and give you my opinion’. The man is a writing genius and I’ve loved every single one of his books. He owes me so many boxes of tissues for the times his books have made me sob, several times in front of a class. His writing is often ridiculously funny, but always with depth and strength, and his books are pitched perfectly at the age range for which they are intended. Many of his novels are now studied in classrooms across Australia, and his books are published worldwide and frequently awarded. So that is my Epic Fail. 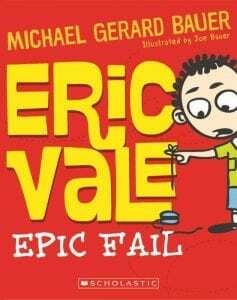 Michael’s latest book ‘Eric Vale, Epic Fail’ is about the moments we would all like to pretend didn’t happen. Eric Vale would like to erase the day he got stuck with his nickname, ‘Epic Fail’. Eric and his Year Five class are seriously into nicknames. Most of the characters in the book embrace their nicknames, like Eric’s best friend William, better known as Chewy. Chewy’s parents are both life coaches and VERY.POSTIVE.PEOPLE and Chewy spends much of the book spouting positive affirmations. ‘Eric Vale, Epic Fail’ is epically funny and has major child appeal, but with a few strong messages woven in for good measure. MGB has crafted a story about resilience, acceptance and inclusivity, with not a trace of the dreaded schoolyard ‘b’ word. The characters are so well portrayed that they could each have a novel of their own…particularly Chewy, who reminded me of several boys I’ve taught over the years. The illustrations throughout the book add much to the story, particularly in the comic book style sections that Eric is writing in his ‘Awesome Thoughts and Genius Thoughts Journal’. I particularly like that Eric is a writer, and that he writes daily and often. It’s so great to see writing portrayed in such a positive, and funny way. Illustrator Joe Bauer is MGB’s son, and this talented young illustrator has done the covers for his father’s ‘Ishmael’ series. This is his first illustrated book and I hope to see many more of them. Joe is also a filmmaker whose recent film ‘The Killage’ has enjoyed international critical success. Michael blogs about writing and life in general here. He has an author Facebook page which is regularly updated here. The illustrations by Michael’s son Joe add much to the text. With a small group, come up with an idea for a ‘Totally Awesome Action Story’ like Eric Vale does. Storyboard ideas for a comic strip in the style of Eric’s ‘Secret Agent Derek Danger Dale’. Eric has a notebook he writes in: ‘Awesome Stories and Genius Thoughts Journal’. With your child or students in your class, start such a journal. Re-read the sorts of things that Eric Vale writes in his as ideas to get you started. Eric’s journal writing is short and sharp. 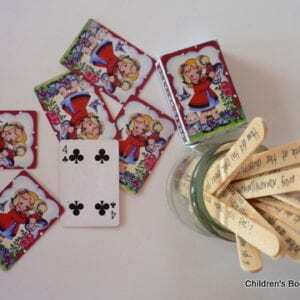 Create a ‘lucky dip’ of story starters and writing tasks and each day choose one for your child or class. Give them a ten minute time limit in which to write. These writing tasks could go in their ‘Awesome Stories’ journal. Students may like to emulate this style by illustrating some of their own writing or illustrating parts of the story that do not have illustrations. Perhaps students could also create a story board of significant plot points using the illustrations only. Eric is a great role model for young writers. It’s refreshing to see a writer portrayed in such a positive and humorous way rather than the ‘tortured’ individuals so often the protagonist in teenage books. Students could compare Eric with other well-known writers who write in first person in both fiction and non-fiction. Start a ‘Genius Thoughts’ box. Give examples of genius thoughts to get the ball rolling, then students and teachers can add to this box. Michael Gerard Bauer has a great series of books which feature school debating, the ‘Ishmael’ series. Choose some of the ‘Genius Thoughts’ as ideas for a class debate. ‘Genius Thoughts could also be used as writing prompts. Eric has a new classmate, Aasha who has moved to Australia from Somalia. Is there someone in your class who has moved countries? Ask them to talk about the experience, the challenges and the benefits. As a class, brainstorm the challenges faced when moving countries. Create a list of how your class would make someone just like Aasha feel welcome and included. Chewy is very into the power of positive thinking. Brainstorm some positive affirmations. Illustrate these in the style of the book and display them in your room or classroom. To add this book to your home library click here. ‘The Running Man’ is a modern Australian classic and can be purchased by clicking here or on the cover image below. I loved reading this post. Having a kid-lit blog, I am also told daily by readers that they dream of having their books published for children- so I understand your ‘epic fail’. And yes, I agree wholeheartedly that Michael is a literary genius. He gets it right every time for his targeted audience and for teachers and parents. 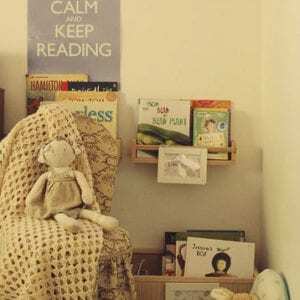 Epic Fail’ – Children’s Books Daily… <Liked it!